It generates leads and sales by increasing traffic to your site, enhances the perception of your expertise, and makes your offerings more visible. But, blogging on a regular basis is challenging, especially when we’re busy. 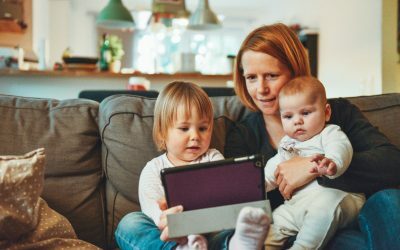 And as mom entrepreneurs, when are we not busy? I mean, how many times have you found yourself panicking because a blog post was due and you didn’t have anything ready? How about this – have you broken your commitment to regular blogging because you just can’t find time to write or because you’re tired of stressing out about coming up with ideas for blog posts? Well, I’ve got some good news for you. There’s a way to make your ideas flow and get your blog posts completed on schedule. 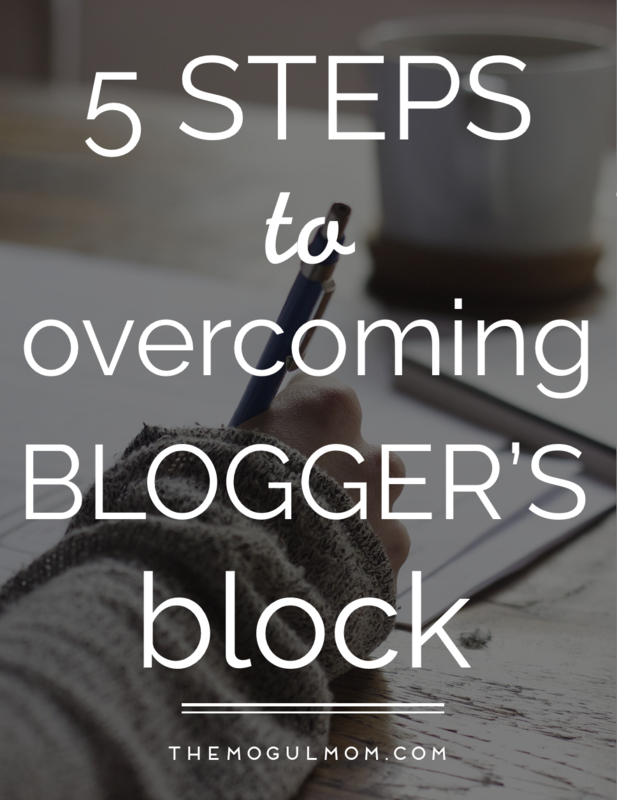 In fact, I’ve created a five step system to overcoming blogger’s block and becoming a regular blogger. 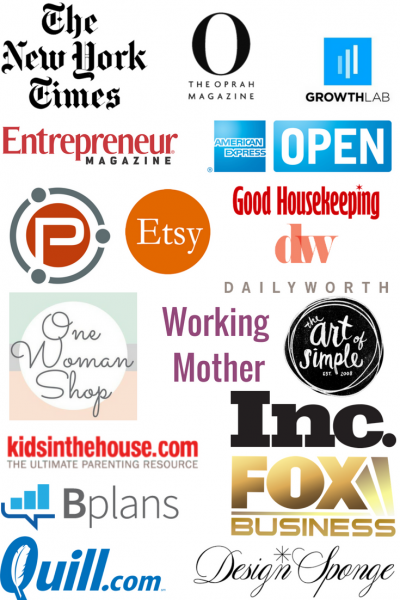 Do you need to coordinate your blogging schedule with someone else? Hire an intern or virtual assistant to help you with certain aspects of the blogging process (e.g., formatting) if you’re struggling to get your posts out on a regular basis. Having this kind of support makes you accountable for your part and pushes you to meet your deadline. It’s more effective than willpower. You’ve got to set aside time in your schedule for blog content development. Are you an owl or a lark? Larks need to set aside a block of time first thing in the morning (before checking their inboxes). Night owls should leave their creative work till much later in the day. Listen to your body to take advantage of the part of day when your energy (and creativity) level is at its highest. Be prepared. 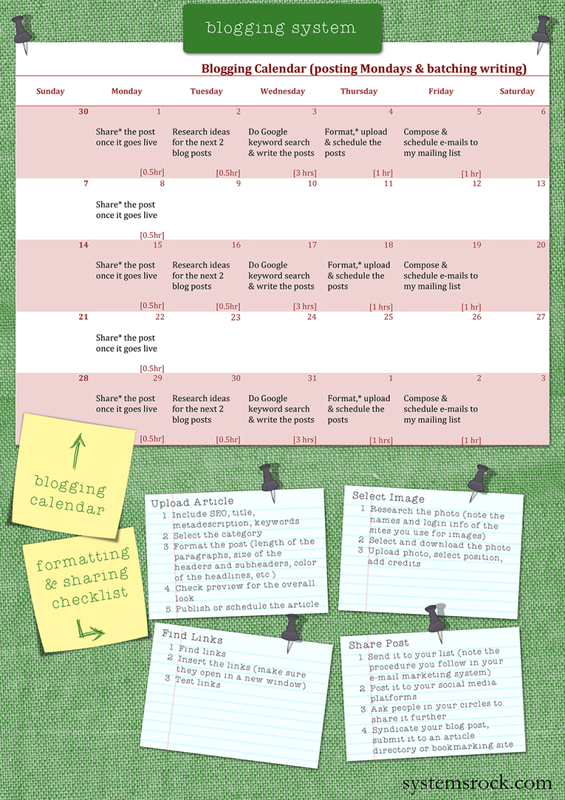 It’s okay if you’re not into editorial calendars, but you still need to have a list of blog topics to choose from when starting to work on an article. Choose your topic the night or day before to let your creative juices start flowing. If you’re still short on ideas, comb through the comments on your most popular posts to see what readers might want more of. Getting into the “writing mode” takes time. 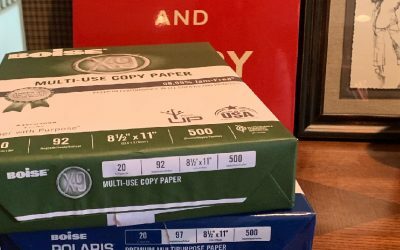 But once you’re in the zone, why not save on the “warm-up” and write more than one piece? You’ll feel huge accomplishment and relief when you finish. Formatting doesn’t have to be a time-consuming hassle. The trick is to get very clear about every single thing you have to do besides writing the post itself. This includes things like finding and uploading photographs, designing the layout, creating the metadescriptions, checking links, and making sure the post is SEO friendly. My #1 suggestion is to record your screen and narrate the steps as you’re formatting one blog post. Demonstrate what you do as if you were training someone else using software like Jing, Camtasia or ScreenFlow. You can even get your video transcribed and turn the steps into a checklist. Then, save it in Google Drive so it’s easily accessible and editable. Now, formatting other blog posts will be much easier and you won’t waste time trying to remember how to do everything. And, even better – now you can easily outsource the formatting! Publishing your blog post is great, but now you need to share it. I recommend creating a simple checklist that you can blast through each time your post goes live. Submit your article to an article directory or bookmarking site to help new audiences discover your post. You won’t have to waste time with guessing—or trying to remember—what you’re supposed to do and can concentrate on your other projects. These five steps are guaranteed to help you blast through blogger’s block of any kind. Once you optimize and document your process, you’ll fall in love with blogging and find it really easy to keep up with it. What part of the blogging process stresses you out the most? What can you do this week to make it easier?